aerobd.news : Bell Helicopter has confirmed its experimental twin-engine Bell Helicopter 525 Relentless crashed on July 6 in Texas while performing flight test operations, resulting in the death of the two crew members on board. The names of those killed in the crash have not been released, but they are both Bell Helicopter employees. 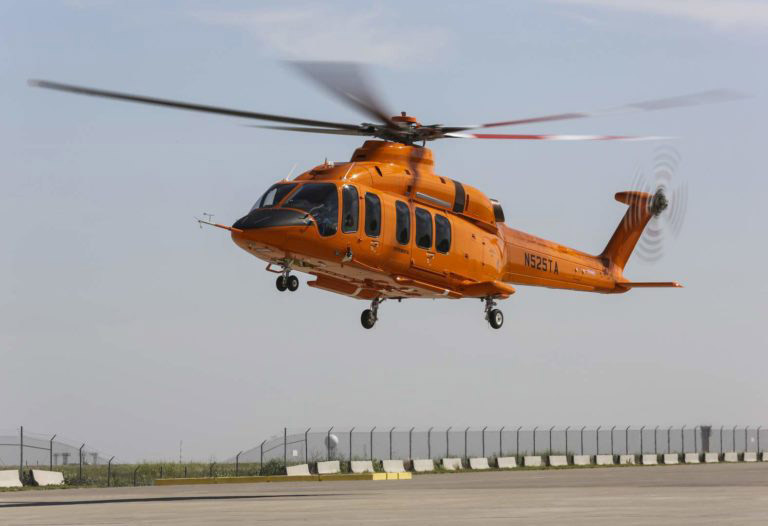 The company said in a press release, “On July 6, 2016, a Bell 525 was involved in an accident while conducting developmental flight test operations south of our XworX facility at Arlington Municipal Airport, Texas. Unfortunately, the accident resulted in a loss of two crew members. This is a devastating day for Bell Helicopter. “We are deeply saddened by the loss of our teammates and have reached out to their families to offer our support. Bell Helicopter representatives are on-site to assess the situation and provide any assistance to local, state, and federal authorities. At this time we ask for your understanding as we work through all of the details. We will continue to provide updates as more information becomes available. Industry reports say Flightradar24 records showed the flight test vehicle (FTV) and a chase helicopter departed Arlington at 10:39am local time (15:39 UTC). The FTV proceeded to the south, where it flew a pattern at altitudes between 2,000ft and 3,000ft. The last data point is at 1,975ft at a speed of 199kts at 11:47am. Local media reports show much of the helicopter’s debris was localized to the crash site, though parts of the helicopter were spotted hundreds of feet away, including a section of the helicopter’s boom which was located approximately 1,500ft to the southeast. The wreckage indicates that this was FTV-1 (flight test vehicle 1). FTV1 is one of three aircraft currently engaged in the 525 flight test program and made its first flight on July 1 last year. Two more FTVs were scheduled to be added to the program in Q3 2016. The model 525 was still in testing and was the first civilian helicopter to use a fly-by-wire (FBW). It also used a new kind of rotor system, with investigators likely to be looking into whether a problem occurred with this system. Local residents report it was a windy day in the area and investigators will consider whether this could have been a contributing factor, too. The Federal Aviation Administration (FAA) and National Transportation Safety Board (NTSB) are both investigating the cause of the crash. Tags:Bell 525 flight test vehicle crashesflight test vehicle (FTV)the first civilian helicopter to use a fly-by-wire (FBW).